It was a great day for a skate with foggy conditions and light winds. Since it was foggy the East/West trail gets slippery with moisture so 6 people went on the Power line North/South trail and the others went on the East/West. The distances were 6 miles and 11 miles. 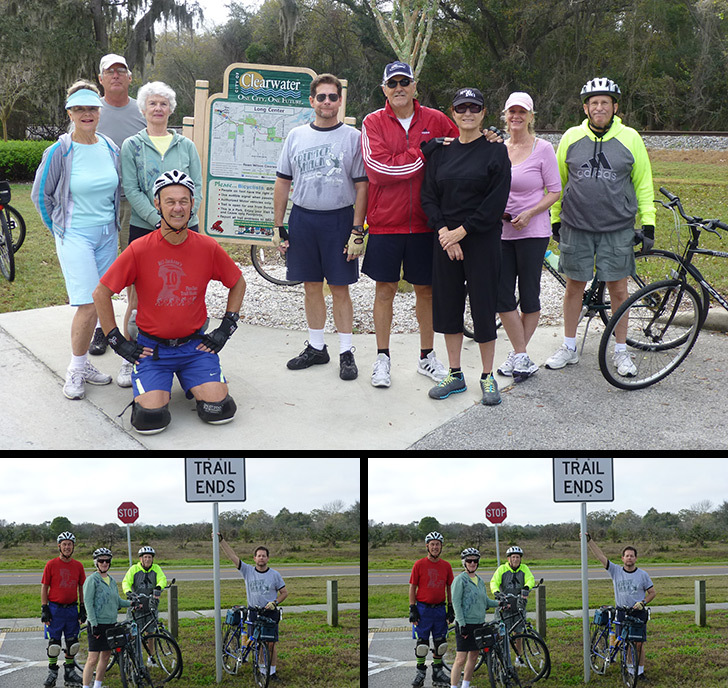 Bikers/skater was Jeff B, Carol J, Dave A, Rick P and Ginnie S, Roy H, Dee T, Dimitri F, Glennis W, and her sister, Cher H who is visiting. Brunch was at the Sunset Grill. Jeff, Rick and Ginnie went ahead and had the table set up and waiting for remainder of us. We were in and out within an hour. The food was excellent as usual. I called Bruce M. about an hour ago. His knee replacement went well and was at home since yesterday. Bruce stated his pain level is down and cannot wait to get back out on the bike/skate. We wish him a quick recovery.